With gas prices going up around the world, everyone is trying to find ways to save money. A growing number of people are also turning to electric bikes to save themselves from city traffic, live healthier lives and the fun of riding bike. Here is a little known fact. Electric bikes (e-bikes), bicycles propelled by a motor and battery, was first documented in the 1890’s. However, electric bikes have come a long way since then. 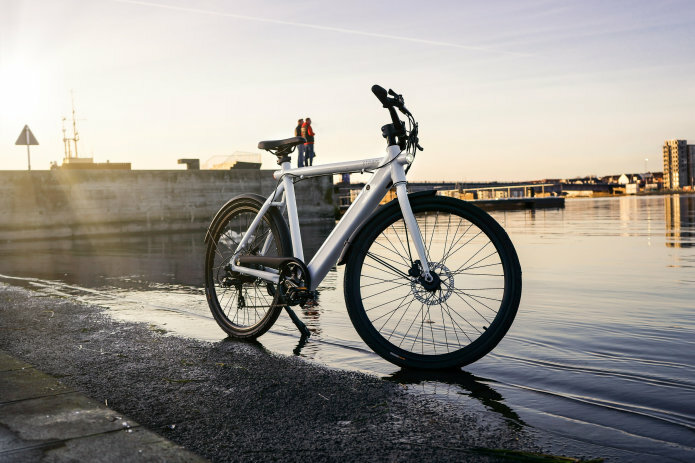 Technology advances in longer-lasting batteries are breathing new life into ebikes and thereby making it much more affordable to everyone. 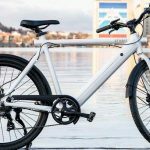 According to data from eCycleElectric, about 34 million ebikes were sold worldwide in 2017 with most sold in Europe and China. STRØM CITY started with a story of two friends, Morten Birch (age 23) and Nichlas Lloyd (age 26), with a mission to make inner city commuting more sustainable and convenient, and to help accelerate the transition to green transportation. They bothmet almost a decade ago at a business school in Denmark. They traveled together, worked together and shared hundreds of ideas together. STRØM Bikes started in November 2016 when they designed their first FATBIKE model, which later raised more than $450,000 on Indiegogo out of a campaign goal of $40,000. STRØM CITY team’s crowdfunding campaign has already raised over $1,183,514 USD from 2326 backers on IndieGoogo. That’s 2367% above their original goal $50,000. Introducing the best performing battery hidden inside the frame – detachable for easy charging. The most powerful, silent motor. 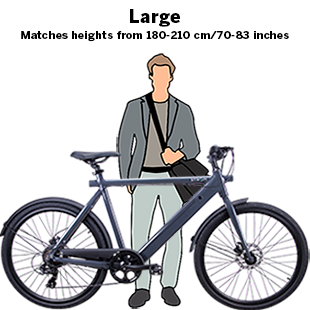 The lightest aluminum frame (medium or large to fit people of just about any height) – and available in 3 cool colors. A fully integrated lighting system, operated by a built-in power switch. 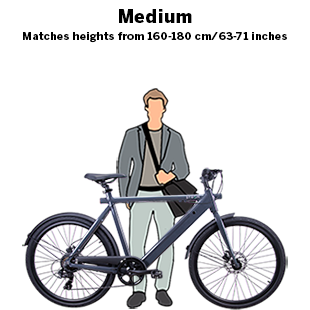 They’ve packed all of this into one outstanding and affordable e-bike with prices starting at USD $899. 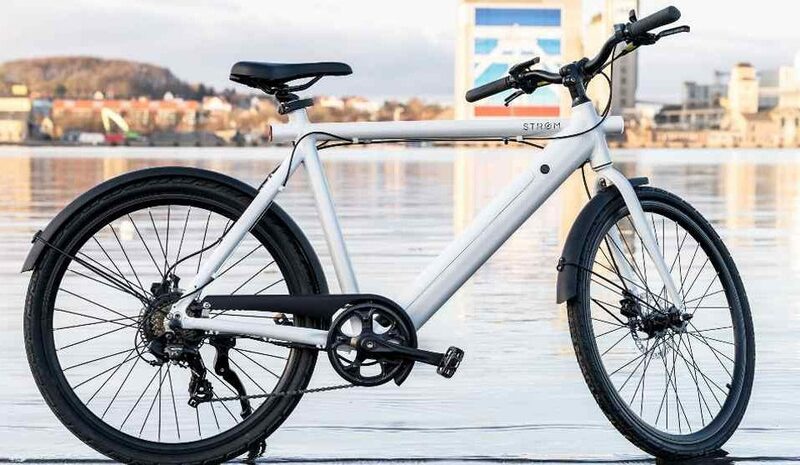 STRØM CITY is the lightest, most innovative electric bike, with a look, and feel, like nothing you’ve experienced before. The integrated battery in the frame makes for a stylish e-bike without compromising on durability or convenience. The battery is even detachable for easy charging with a built-in locking system to prevent theft. STRØM CITY is designed with flexibility in mind. You can ride it like a regular bike using the 7-speed Shimano gear system or take advantage of its powerful electrical system. Enjoy up to 350 Watt* of electric motor power, which can take you from 0 to 32 kmh/20 mph* in a matter of seconds. Ride full throttle* or use the 6-level pedal-assist function. Start pedaling and feel the electric momentum instantly kick in. Go up to 80 km (50 miles) on a single charge. STRØM CITY is available in a medium size (160-180 cm/63-71 inches)or large size (180-210 cm/70-83 inches) to fit people of just about any height. 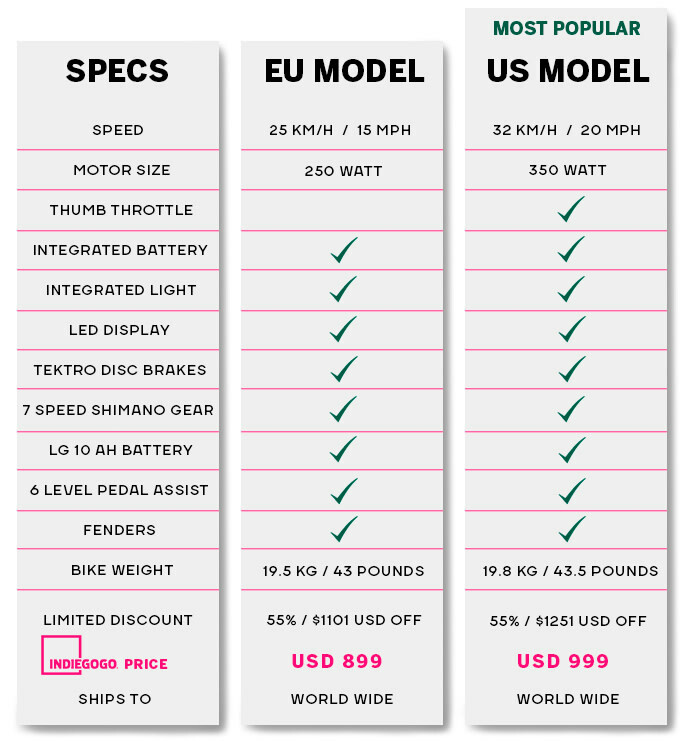 * The difference between the EU and US model is the motor size and automatic drive function. The US model is not allowed in most European countries. STRØM CITY comes with a 10Ah LG battery that is hidden inside the lower frame. The integrated locking system makes it easy to detach for charging. Charging time is approximately 3-4 hours. With their standard 10Ah LG battery, you get a range of up to 80 km/50 miles. Or upgrade to their 13Ah “GO Further” LG battery and get up to 100 km/68 miles. See STRØM CITY in action in a video below.